Don’t you just love when bands you adore cover other icons? That’s what happened recently when beloved American pop-punk outfit, Paramore busted out an incredible rendition of the Radiohead classic, “House of Cards”. How could this get any better, you may ask? 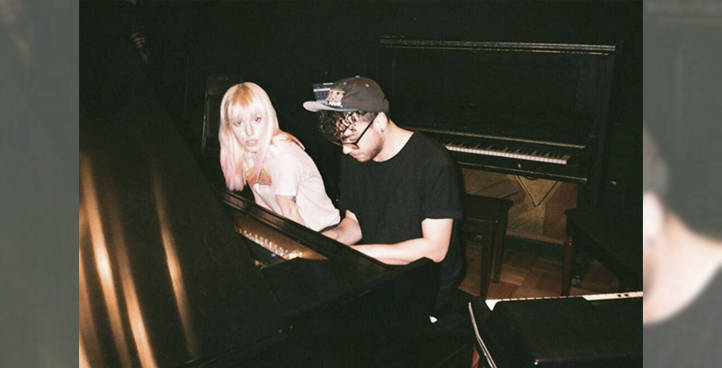 To the crowd’s surprise, singer, Hayley Williams, and guitarist, Taylor York, joined drummer, Zac Farro, onstage to perform the song at his EP release party in Nashville. It had been seven years since he left the band, so the reunion was welcomed by fans with open arms. After parting ways with the "Misery Business" group in 2010, the artist's return seemed uncertain. But, when news got out that Farro would be joining the band once again to work on Paramore’s forthcoming fifth studio album (their first LP since their self-titled release in 2013), fans went wild, kicking off the impatient wait for new music. Until then, we all have the band’s 2017 tour to look forward too. Track Paramore on Bandsintown now to make sure you’re there! played on a stage w/ my best @zacfarro. 1st time in like half a decade tonight... in a Chinese restaurant. lost my mind. happy Velvet Face!